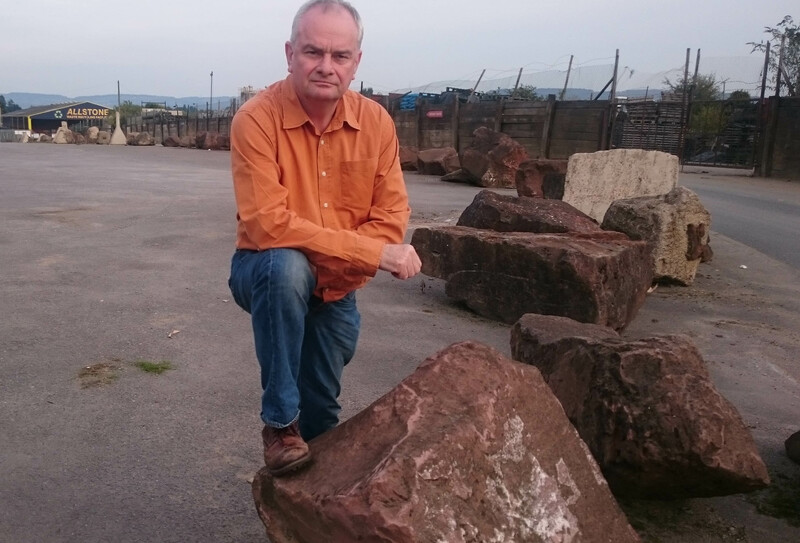 The county council has received forty individual objections opposing the planning application by Allstone to carry on stone crushing for three more years at its Myers Road site. Lib Dem county councillor, Jeremy Hilton has also received a petition with over 90 signatures from local residents opposing the plan. He handed the petition to the chair of the planning committee at the last county council meeting. Jeremy Hilton said: “I have personally sent in my own objections to planning application and I have agreement that the planning committee will determine the application rather than being done under officer delegated powers. 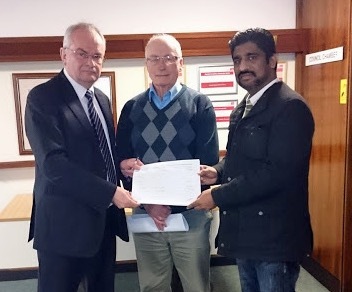 “I have spoken to a number of local residents at Swallow Park who would like this application refused. 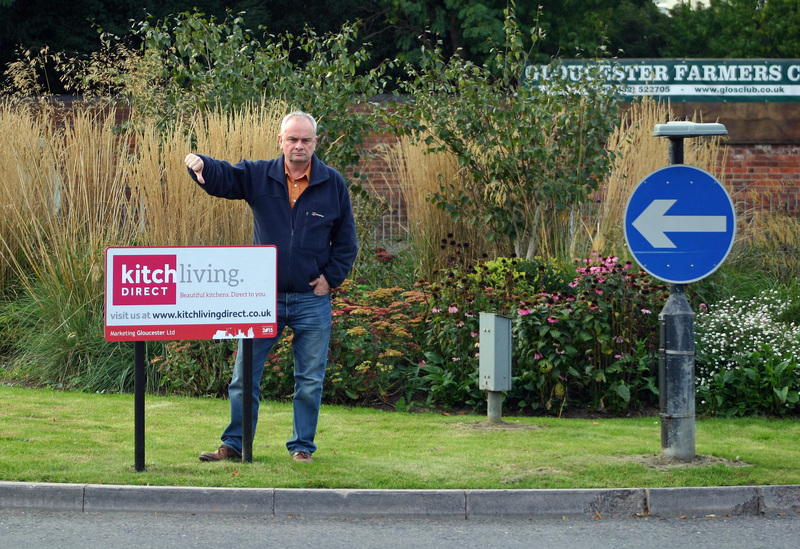 They are concerned about the county council’s ability to enforce the planning permission if it were to be approved. They are fed up with the noise and dust that emanates from it. Allstone Sand & Gravel have applied to Gloucestershire County Council for temporary planning permission to extend stone crushing and stockpiling at its Myers Road site. This will be the third application, following on from approval given by the county council in 2011 and 2013. This time the application is for three more years. The application proposes to continue with the same operating hours, but permission is sought to increase the height of the stockpile from 4m to 6m. Twenty lorries a day are expected to make visits to the site, with a maximum of 20,000 tonnes of inert waste per annum. 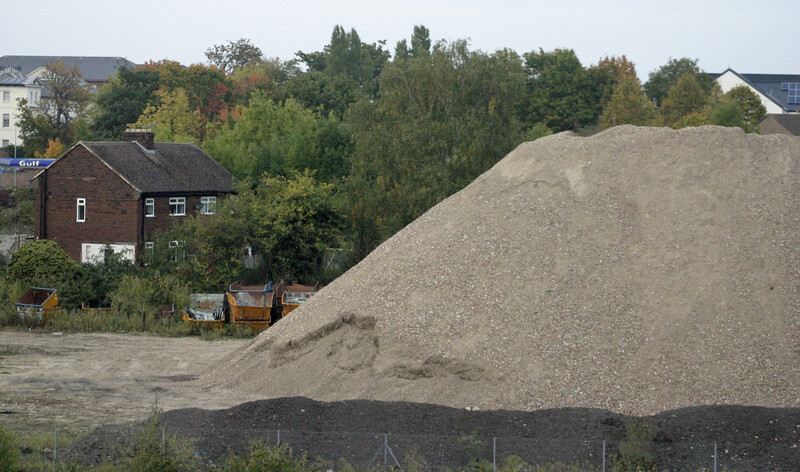 Photo taken of crushed stone stockpile on 3rd Oct 2015. 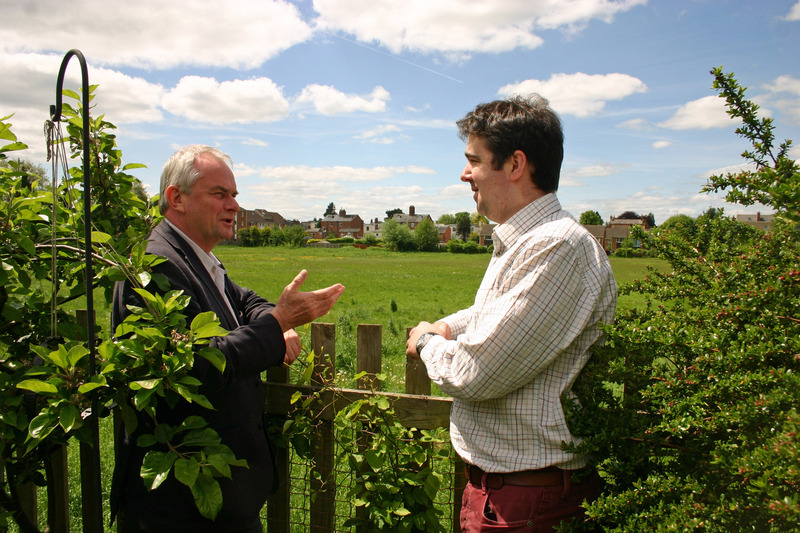 Liberal Democrat county councillor for the area, Jeremy Hilton (Kingsholm & Wotton) will oppose the application. He said:　“I am not at all happy with this application that seeks to continue stone crushing for another three years. The county council has failed to enforce the condition limiting the stockpile height to just 4 metres. “The dust and noise close to residential properties is unwanted. After four years, I had hoped that Allstone would have found a more acceptable site to carry out this sort of process. The site is close to homes at Swallow Park and Armscroft Estate. It is near St Peter’s Primary School and the hospital is also in the area. Horton Road is already heavily congested and does not need more lorries travelling along it. “The proposal to increase the stockpile of stone from four to six metres will only exacerbate the risk of dust problems. The stockpile is just a few metres away from people’s homes. Cllr Hilton has asked county planning officers to insist on an Environmental Impact Assessment, as the applicants think this is not required. The Tory controlled city council has erected advertising boards on the three roundabouts along Estcourt Road. They are also doing this across Gloucester. 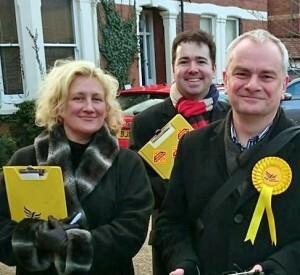 The decision to install advertising boards has been questioned by Liberal Democrat councillors. It is understood that the council will get a paltry £10,000 from the advert boards across the city. Planning approval was done, unusually, under officer-delegated powers. Normally planning applications by the council have to come to the planning committee. Liberal Democrat councillor Jeremy Hilton (Kingsholm & Wotton) said: “The Tories have used stealth methods to get advertising boards installed. The scheme was developed with the cabinet member, who failed to take a written report to cabinet. 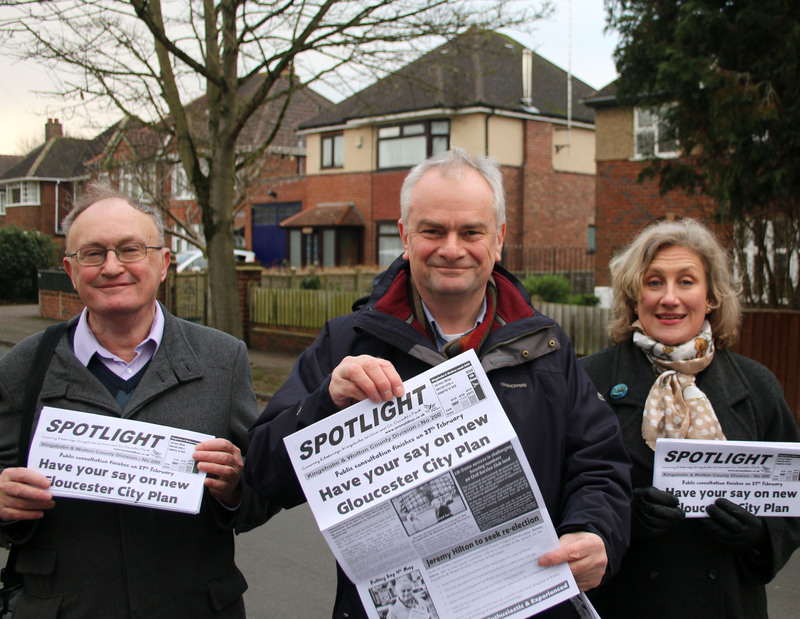 Local councillors were not consulted by cabinet on this scheme ahead of decision to go ahead. Then planning permission was granted under officer-delegated powers. Liberal Democrat county councillor for Kingsholm & Wotton, Jeremy Hilton has today called for the county council enforcement team to close down the stone crushing operation off Myers Road when the two-year temporary permission ends in September. 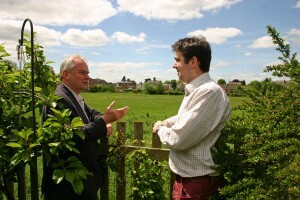 Temporary planning permission was granted to Allstone Sand & Gravel by the county council in September 2013 for a two-year period despite opposition from local Lib Dem councillors. Cllr. Hilton has asked the county enforcement team to act on clause 1 of the decision statement. The rose garden at the corner of London Road and Great Western Road has seen some changes, as the city council carried out improvements to discourage anti social behaviour at this public space. The brick wall at the back of the garden and the planter have been removed to stop street drinkers from sitting there. The boundary wall has also had some work done to it. The work has been partially funded from a devolved budget that requires the approval of ward councillors, before the money can be spent. Jeremy Hilton said: “The removal of the brick wall takes away a place for street drinkers to sit. 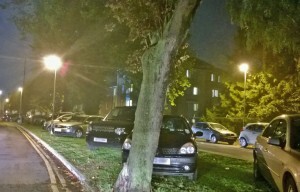 Sebastian Field said: “This is an important open space along London Road. Denmark Road grassed central reservation – This is not a carpark! 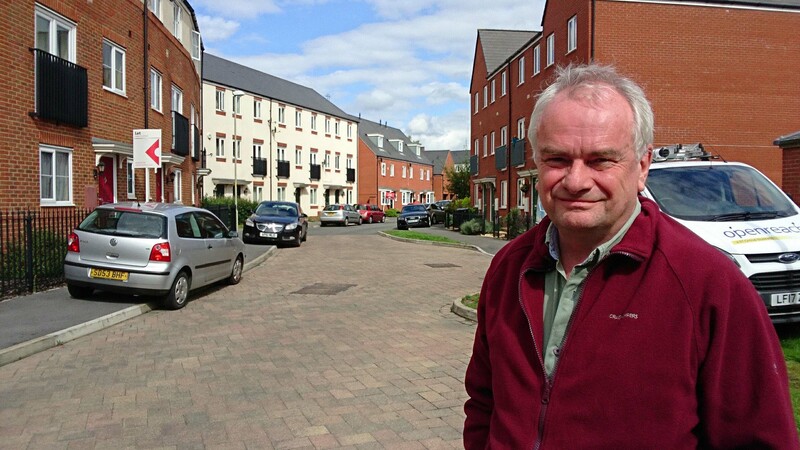 Liberal Democrat councillor for Kingsholm & Wotton, Jeremy Hilton has called on rugby fans to stop using the grassed central reservation along Denmark Road (dual carriageway section) as a carpark. The next home match for Gloucester Rugby is on the 20th December when the Cherry & Whites take on Bath. 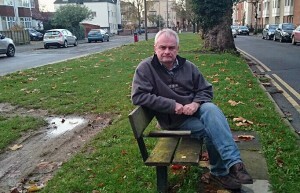 Jeremy Hilton said: “The grass central reservation along Denmark Road is not a carpark. 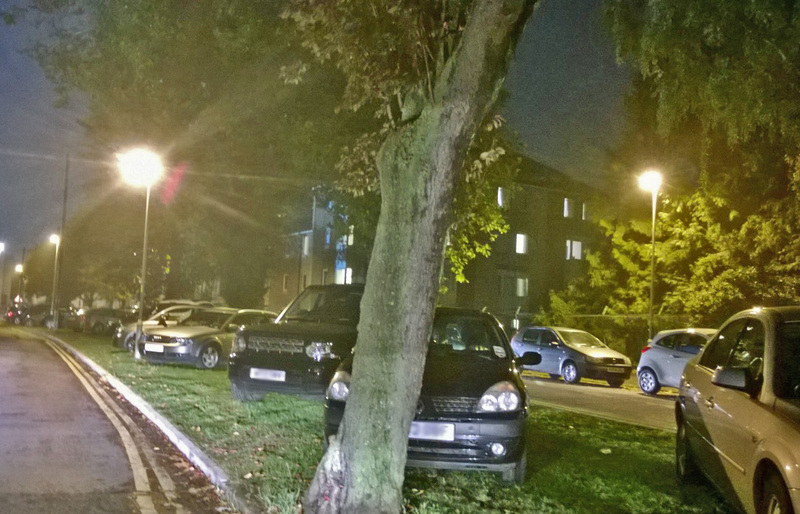 I ask rugby fans to park elsewhere, otherwise they will get a parking ticket. “Often it is latecomers who use this open space to park up their cars in their rush to get to the game. The next match against Bath will draw the crowds and it is important that the traffic enforcement officers are on patrol until well after the game starts. 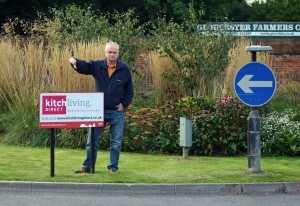 “The club contributes financially to the cost patrolling the streets of Kingsholm during match days. I have asked the parking enforcement team to patrol local roads and book those who park illegally. It is not just in Denmark Road that there is a problem. You can see cars parked up on double yellow lines in other streets in Kingsholm.